Amazon Web Services’s flagship cloud storage service, known as S3, holds nearly twice as much customer data as the top seven other public cloud providers combined, according to Gartner’s latest research. Gartner’s (it) new Magic Quadrant report, which assesses each vendor’s vision in cloud storage along with its ability to fulfill those goals, maintains that Amazon S3 alone stores 1.6 times the amount of data of all the other players tabulated in aggregate. Gartner ranks the companies relative to each other based on its own metrics, which take into account core services, geographic coverage, and sales strategy. The companies in this year’s cloud storage segment are AT&T (t), Microsoft, Google, IBM (ibm), Alibaba, Rackspace (rax), and Oracle (orcl). Yet, analysts predicted two of these eight companies in this volatile market will disappear from this list in the next three years. Amazon (amzn) S3, which stands for Simple Storage Service, launched in 2006. That’s long before the rest of the group, so it’s not shocking that it’s now the biggest. What is surprising is that AWS is that much bigger than the rest given the efforts Microsoft (msft), Google (goog), and others have made to win share. Gartner analyst Raj Bala says the research firm did not perform the same calculation last year, but his sense is that Amazon’s proportion of data stored has increased in that time. 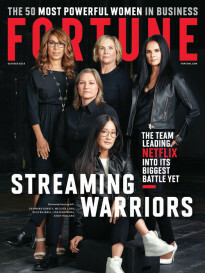 Market dominance has its price, at least to customers, and Bala criticizes AWS for what he called aggressive, even “punitive” pricing in one aspect of its business. AWS offers an archival service called Glacier to store companies’ cold data. That’s the sort of information a company doesn’t access often but keeps around for regulatory or other purposes. Glacier is inexpensive until you try to retrieve or remove your information. At that point, Glacier can be quite pricey. For example, if a company uses Amazon’s Snowball hardware device to physically ship data out of AWS Glacier, that customer is also charged a per-gigabyte export fee even though the data is not shipped over the network. “They will still charge three cents per gig to export your data. 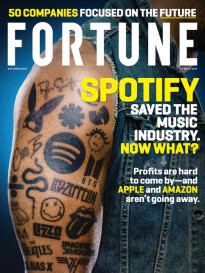 For a few hundred terabytes of data, that’s thousands of dollars,” Bala tells Fortune. One Gartner client who had hundreds of terabytes of data in Glacier and wanted to retrieve it to run analytics was said to have just given up. “The cost to that company to fetch their data would have been $1 million. So they’re just going to delete it,” Bala explains. Competitors and other critics have long said that a move to Amazon’s cloud is usually a one-way trip because AWS makes it easy and cheap to put data into its cloud, but not so cheap going the other direction. To be fair, most public cloud companies charge nothing to bring data in, but do charge for shipping it. Microsoft Azure’s fees are listed here. AWS is an execution machine. When Amazon announces its second quarter results Thursday night, analysts expect that the cloud business will continue its upward trajectory. They just disagree as to how much. Analyst estimates vary with Raymond James expecting 60% growth and Deutsche Bank (db) is looking for 53% growth. For its first quarter, reported in April, AWS sales rose almost 64% year over year to nearly $2.6 billion. On the plus side, Bala’s report says AWS fields the most extensive array of public cloud block, file, and object storage services that suit most needs and that those services tie in nicely to the rest of Amazon’s cloud products. Alibaba (baba), which is making a big cloud effort in China and beyond, was the newcomer on Gartner’s list this year. Meanwhile, AT&T lost ground and Verizon (vz), which signaled that it may exit cloud services, fell off the list altogether. This is further evidence that telecom players have a tough time competing in the massive public cloud space, where Amazon, Google, and Microsoft spend multiple billions of dollars a year on key infrastructure. According to Gartner, Google’s (goog) storage business fell off the pace last year. Bala reiterates a common theme that this has more to do with Google’s inability to sell to businesses than any sort of technology issue. “They can build self-driving vehicles and put satellites into space, but they can’t figure out how to sell to the enterprise,” he says. That is why Google hired former Red Hat (rht) chief technology officer Brian Stevens and former VMware (vmw) chief executive Diane Greene over the last two years. But so far, Gartner has seen no impact. Microsoft (msft), on the other hand, has made some headway, he notes.